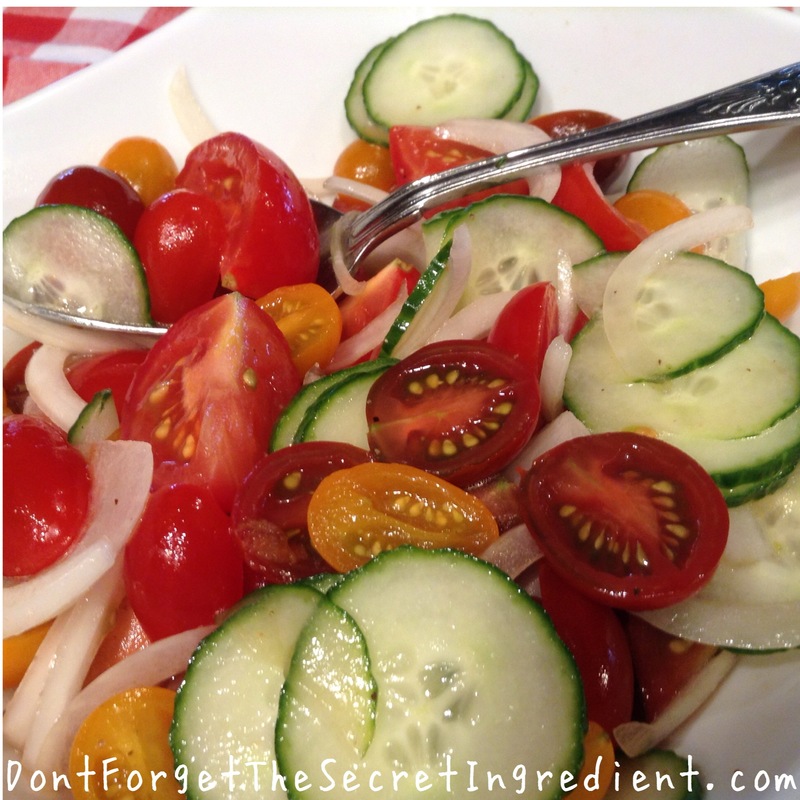 Easy and refreshing, this quick salad recipe is great for summer. I love to mix up the tomatoes for a unique twist. It takes just 5 minutes to prepare and is big on tangy flavor. Include it at your next BBQ! Dress the tomatoes, onions, and cucumber with olive oil, vinegars, salt, and pepper. Let stand to allow onions to mellow and flavors to blend, about 20 minutes. Re-toss and serve salad with crusty bread for mopping up juices and oil. so simple yet so delicious! !